Gears Blogger Template is another beautiful blogger template which is modified and converted by us from WordPress template. Gears Blogger Template is a . 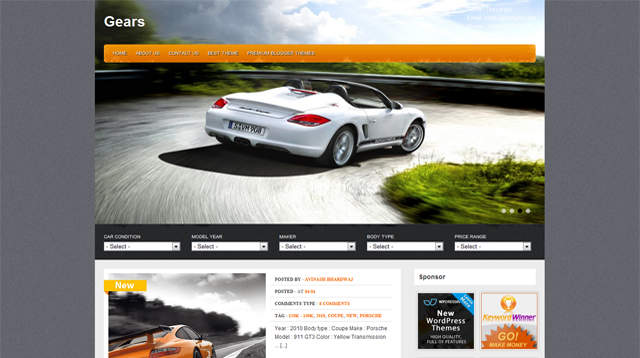 Gears is a high quality auto listing blogger theme. This is a powerful theme with lots of features. The theme is packed with features that will match any paid theme in this class.